This week's featured volunteer is a proud Marine daughter, wife, and sister who currently lives in San Diego -- Corrie Kohlrus. Corrie discovered Marine Parents when her brother joined the Corps in 2009 and, after moving to San Diego with her husband, an active-duty Marine, Corrie decided she wanted to "give back what Marine Parents had given to [her]," ultimately becoming a volunteer for the Warrior Support Team in January of this year. Each Thursday, Corrie and numerous other volunteers serve meals to wounded and recovering warriors at Naval Medical Center San Diego. In addition to serving meals, the volunteers chat with and provide companionship to the warriors and their family members during their recovery processes. "Those Wounded Warriors and their families that I meet week to week forever change[d] me," Corrie says, "They inspire me. They give me strength. They make me so proud to be a part of this community." 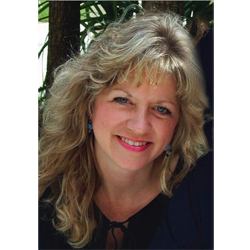 We'd like to offer a heartfelt "thank you" to Corrie and all of our other amazing volunteers around the country. 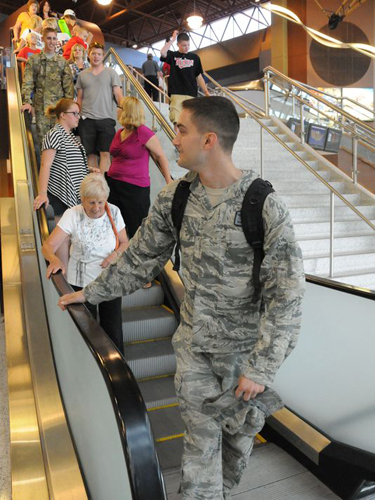 None of what we do as an organization would be possible without your unwavering support of our men and women in uniform. Your efforts on our behalf are truly appreciated. 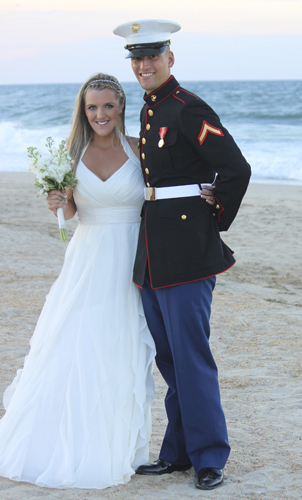 *Image info: Corrie Kohlrus and her Marine husband. Well, we are fast approaching the holiday season. It is a time to gather together and form strong bonds of love and remembrance that will help us all get through a rather difficult time of year. 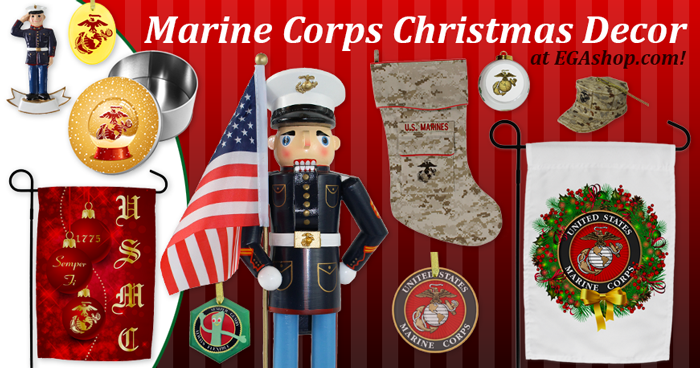 For many, the holidays may be a very stressful time of year, particularly since many of you have family members deployed. 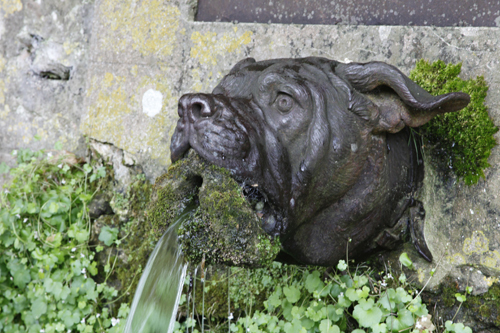 As a result, things at home may also have changed dramatically due to the loss of, or injury to, a loved one. According to the Marine Corps Times, "[m] embers of the Corps' embassy reinforcement team, the Marine Security Augmentation Unit, arrived in Paris Monday. The guards, based out of Quantico, Virginia, are trained to reinforce security at diplomatic facilities across the globe. 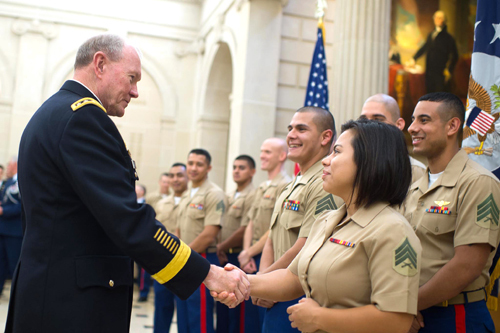 *Image info: U.S. Army Gen. Martin E. Dempsey, chairman of the Joint Chiefs of Staff, meets U.S. Marines assigned to the U.S. Embassy in Paris, Sept. 17, 2014. The remains of another Marine, Cpl. Roger K. Nielson, were also discovered that month and were returned to the United States last week, reaching Honolulu, Hawaii on Thursday, November 12. This Monday, November 15, Nielson was reburied with full military honors at Fort Logan National Cemetery in Denver, Colorado. Nielson, who was assigned to Company E, 2nd Battalion, 8th Regiment, 2nd Marine Division, was reported killed in action on the battle’s first day at the age of 22. Over the course of more than three days of bitter fighting, more than 1,000 Marines lost their lives and a further 2,100 were wounded before Major General Julian C. Smith declared the island "secure." *Image info: Marines with U.S. Marine Corps Forces, Pacific salute Cpl. 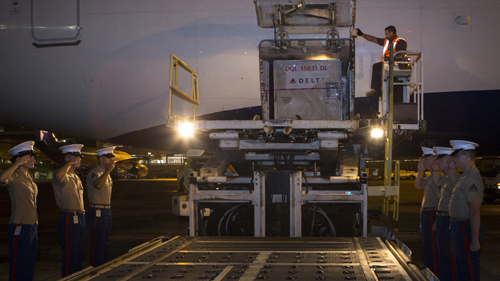 Roger K. Nielson during a dignified transfer of remains at the Honolulu International Airport, Nov. 12, 2015. Over the last three years, an average of 111 enlisted Marines w ere selected for officer programs. 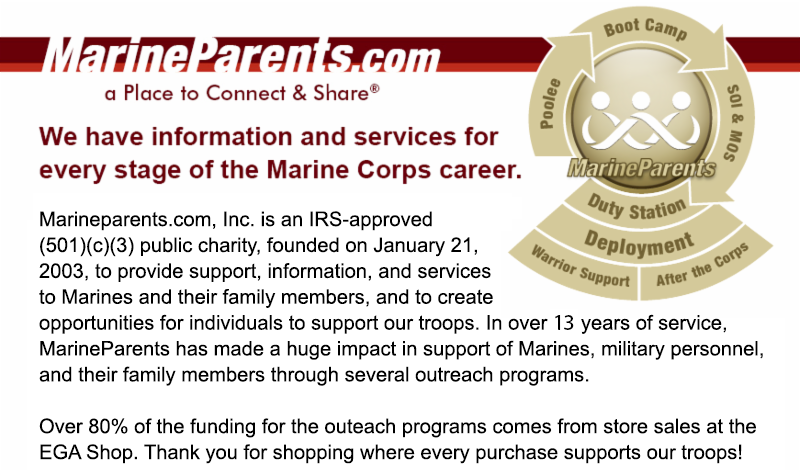 The Corps would like to see that number increase to at least 150 in 2016. *Image info: Staff Sgt. 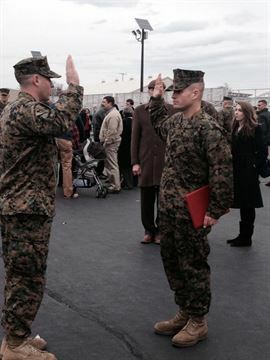 James J. W. Geiger reaffirms the oath of enlistment after his graduation from Officer Candidate Course in Quantico, Virginia. 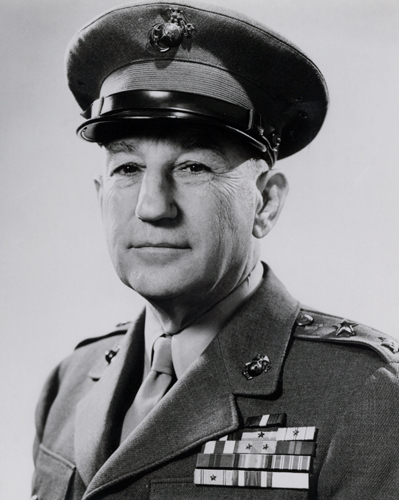 (official USMC image). *Image info: Major General Julian C. Smith (Official USMC photo). When your loved one joins the Marine Corps, you may be introduced to hundred, if not thousands, of various acronyms and abbreviations. 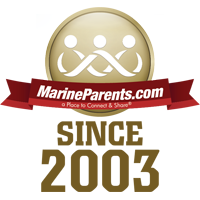 While at first learning all of these acronyms may seem overwhelming, Marine Parents is here to help. 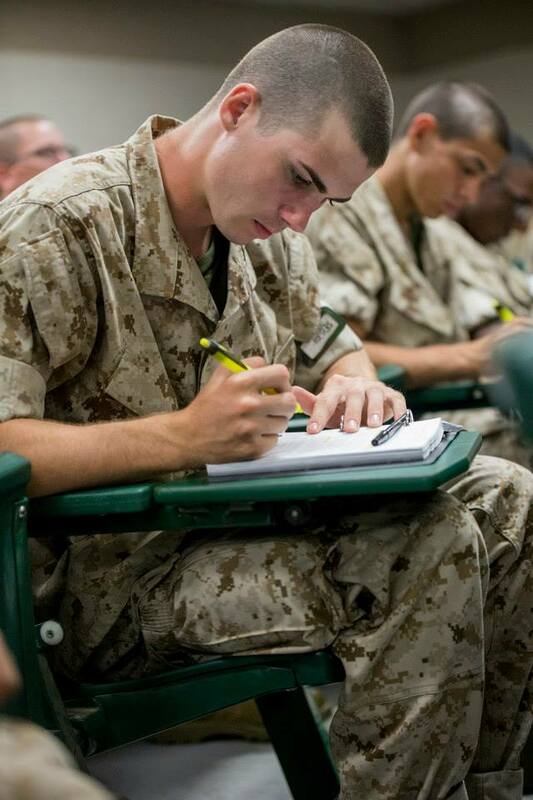 We provide reference sources to help you learn as much Marine Corps "lingo" as you'd like.